Rebel Pepper: In the Name of the People? In the show, local government leaders try to sabotage a top justice’s arrest order; laid-off workers hold violent protests against a corrupt deal between the government and a corporation; and fake police drive bulldozers into forced eviction sites. Viewers have been lapping it up. “This TV drama feels so real. It really cheers people up,” one viewer wrote on social media network Weibo. China’s media watchdog decided to curb the genre in 2004 because it exposed excessive details of corruption, even imaginary ones, which Chinese officials thought could undermine public confidence in the ruling party. 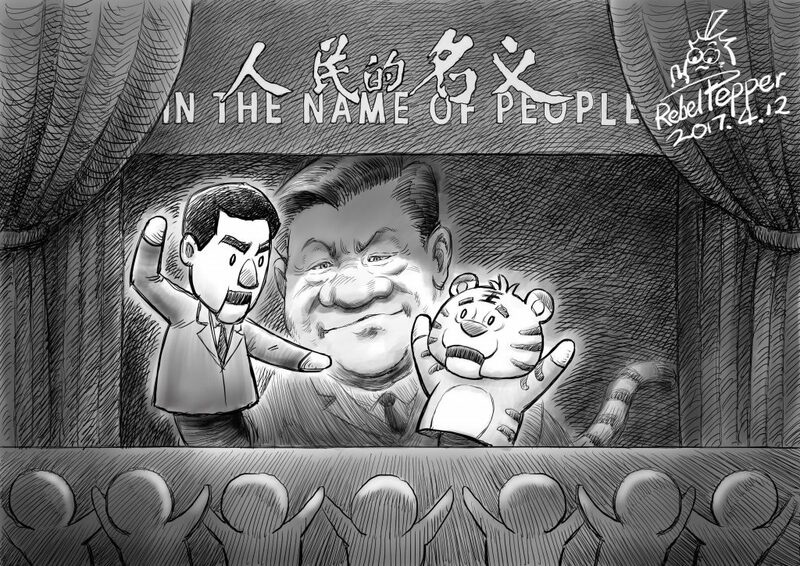 The production and broadcasting of In the Name of The People on prime-time screens, therefore, reflects Beijing’s growing confidence that it is able to control the anti-corruption narrative and convince the public that one-party rule can also be clean. […] The party’s disciplinary watchdog under Wang, the Central Commission for Discipline Inspection (CCDI), has already made two documentaries hailing the campaign.